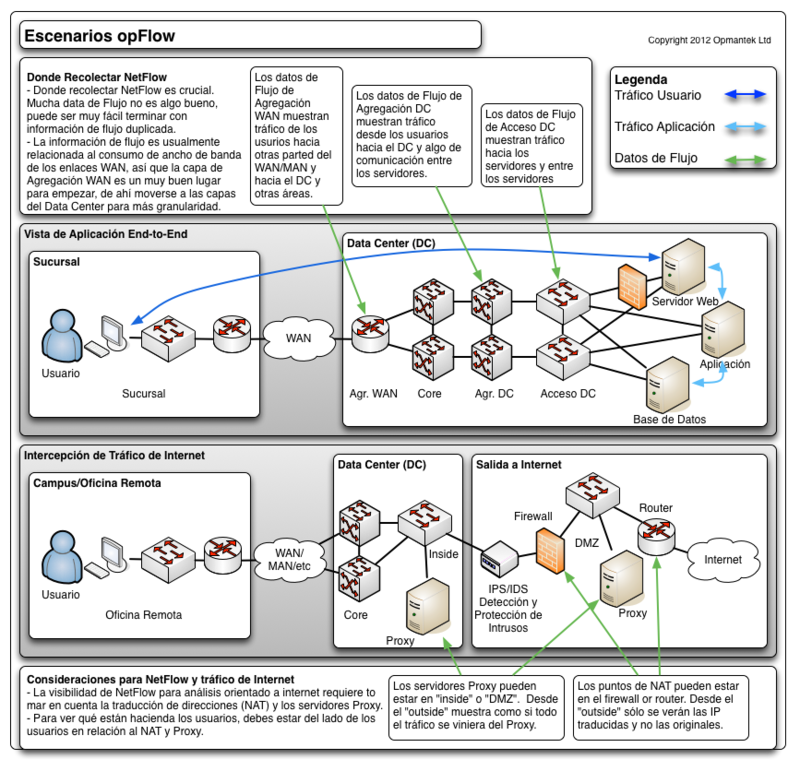 opFlow is a low cost, an industry-leading module that integrates NetFlow, NetFlow-Lite, NSEL, J-Flow, sFlow, IPFIX and other flow information. Reduce downtime and rapidly identify the root cause behind poor network performance. Reduce downtime and identify the root cause of poor network performance rapidly using opFlow. 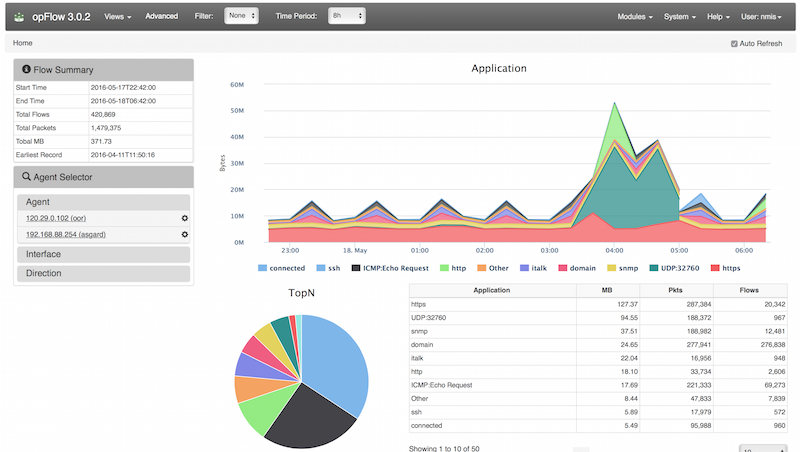 Integrating seamlessly with NMIS, opFlow collects NetFlow information to allow organizations to determine how much of the network is being used, by whom and in what way. 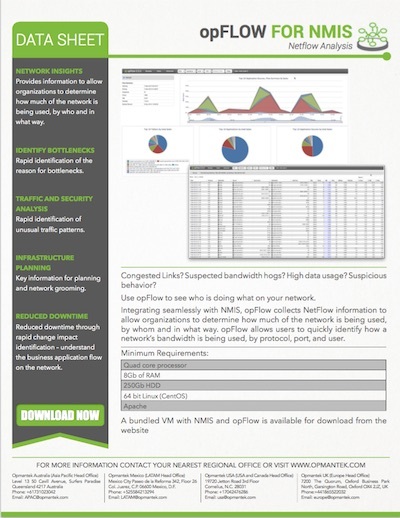 Compatible with multiple vendors and protocols including Cisco NetFlow, NetFlow-Lite, NSEL, Juniper J-Flow, sFlow and IPFIX, opFlow will assist with analysing congestion, monitoring high data usage and identifying suspicious behavior. 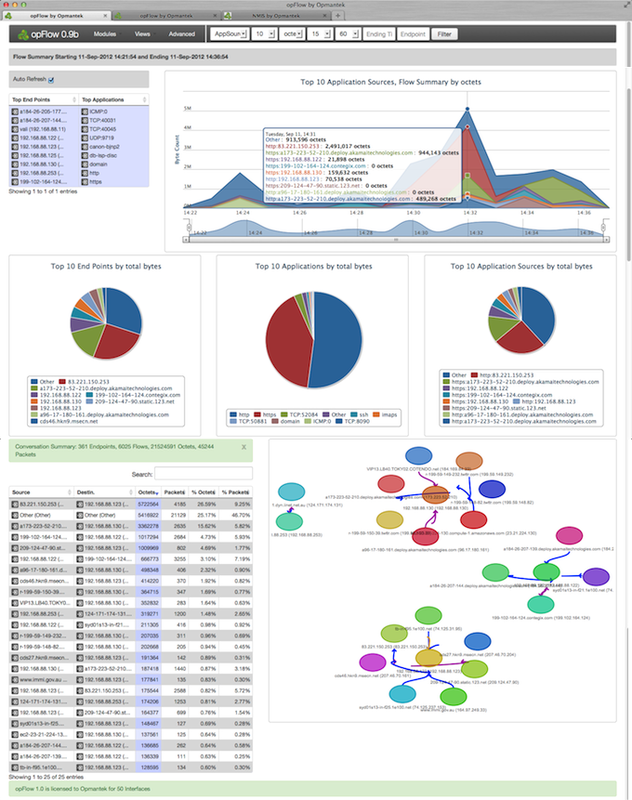 opFlow offers immediate insight into how a network is being used, by protocol, port, and user. Provides information to allow organizations to determine how much of the network is being used, by who and in what way. 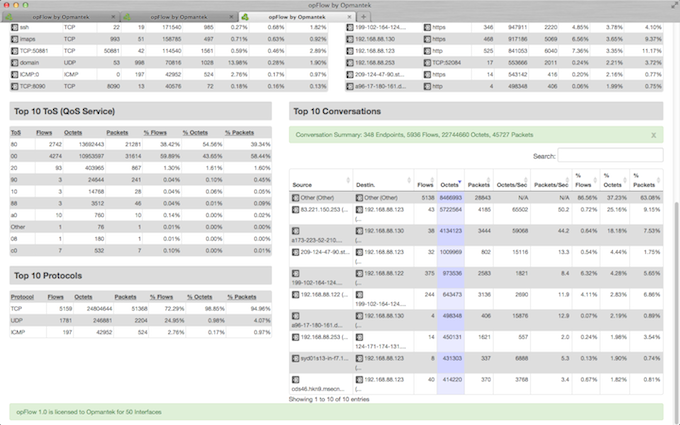 Rapid identification of the reason for bottlenecks using summary reports or the new conversation heat maps feature. Rapid identification of unusual traffic patterns. Key information for planning and network grooming. Reduced downtime through rapid change impact identification – understand the business application flow on the network. For more information about opFlow and how it can enhance NMIS, download the full datasheet here. Opmantek holds regular webinars hosted by our engineering team to help you get started and explore advanced features. Visit the webinars page on the website for topics, dates and times.